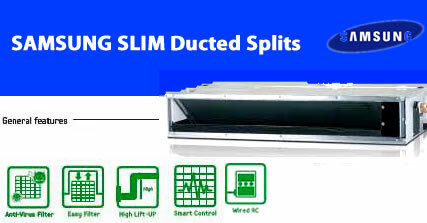 With an indoor unit mounted in the ceiling linked to a separate outdoor compressor unit, ducted splits allow the cooling of several areas via ducts in ceilings or walls. 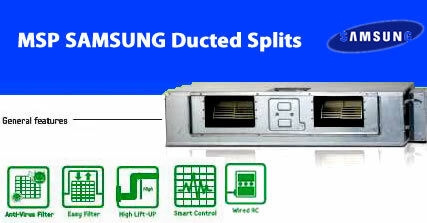 Samsung Ducted Splits aircons are available in sizes from 24 000 BTU/h up to 60 000 BTU/hr, allowing for the heating or cooling of large areas or several separate rooms. 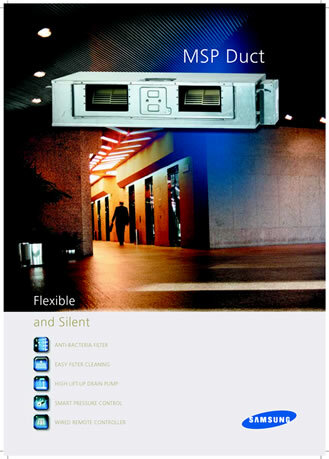 The outside compressor unit can be mounted up to 30 or even 50 metres away in the case of larger units. Energy-efficient (24 000 BTU unit uses only 2.4 kW per hour). Remote-controlled – either infra-red or wired. 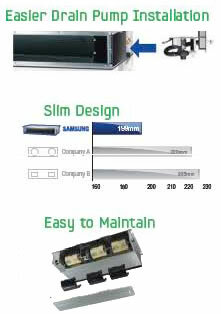 Offers flexibility of installation and layout. 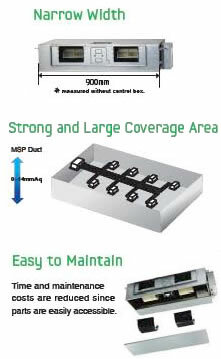 Suitable for areas from 40m² up to 110m². Alliance Air Ducted Splits are available in 3 sizes: 96 000 BTU, 150 000 BTU and 205 000BTU, allowing airconditioning of large areas at an economical price. Competitively-priced Alliance Air Ducted Splits aircons allow cost-effective airconditioning of areas from 210m² up to 420m². Both cooling and heating operation.